This pop-up book store that has already visited The Saint Martin’s Lane Hotel and is currently at Dover Street Market is the best place to track down those pristine copies of Interview and the out of print Artist Monographs you’ve been searching for. 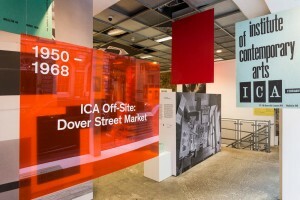 This entry was posted in NEWS and tagged dover street market, idea books. Bookmark the permalink.